Two very sad things happened today. 1) A fatal accident at ANO1 today. ANO1 is on a refueling outage. They were moving a generator stator out of the turbine building. It fell, killing one person and injuring others. I am sure there will be more news later. Here's the Entergy press release. In terms of industrial accidents, nuclear energy is one of the safest technologies around. That generic fact is very little comfort when someone dies. My thoughts and prayers are with the families. 2) This just in, and no links on it yet. Ted Rockwell, nuclear pioneer and author of the book, The Rickover Effect, passed away today. I will update this post when I know more. Request: Shut It Down NOW, Your Honors! In January, an intervenor went before the Vermont Supreme Court, asking that court to shut down Vermont Yankee immediately. 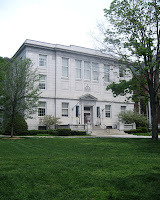 I blogged about it at the time: Unique Request: Opponent Wants Vermont Supreme Court to Rule Before PSB Rules. The Supreme Court hears appeals after lower courts or judicial bodies have ruled. In this case, the intervenor asked the Supreme Court to rule while a lower-court (the Public Service Board, a quasi-judicial body) was still holding hearings on the same subject. That was unique! I predicted that the case would be dismissed because courts don't like to step on the processes of other courts. In other words: "Why are you asking us, the Supreme Court, to rule about this? There's a perfectly valid legal process underway, and we see no reason to derail it." Of course the Supreme Court would rule for procedural reasons. Courts try avoid stepping on each other's toes! In my opinion, the intervenor petition was a waste of taxpayer money (court costs) and simply a way to harass Vermont Yankee. As I included in an earlier blog post, here's a minute-and-a-half WPTZ video of the January Supreme Court hearing that led to the decision yesterday. MONTPELIER - A publication released today by the Vermont Energy Partnership (VTEP), “Vermont Electricity at a Glance," examines Vermont's electricity portfolio. The publication includes the rates charged by each Vermont utility, the type of generation and amount of power supplied in megawatt-hours, the amount of renewable power, and (in most cases) the specific power generators and/or contracts. “Vermont Electricity at a Glance” also portrays Vermont’s statewide increase in power rates in comparison with neighboring states. 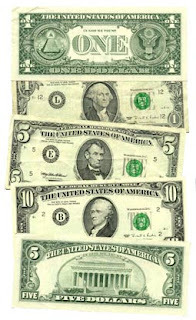 In 2012, Vermont’s electricity rates rose five percent while rates stayed level or fell in New York or all other New England states (except Rhode Island, also five percent). To view the publication, please click here. The Vermont Energy Partnership (http://www.vtep.org) is a diverse group of more than 90 business, labor, and community leaders committed to finding clean, safe, affordable and reliable electricity solutions for Vermont. The note above is a press release from the Vermont Energy Partnership: it was sent by Guy Page, who has frequent guest posts on this site, such as Transitioning to Renewable Power: What It Might Look Like. This new VTEP overview report contains the facts and figures on Vermont's electricity supply right now. Vermont's electricity retail electricity price rose from 14 cents to 15 cents per kWh, while most other states retail prices fell (Rhode Island's price also rose). Vermont used 1.8 million MWh of "system power" (bought from the New England grid) in 2012, while they used only 0.8 million MWh of "system power" in 2011. In 2011, Vermont Yankee contracts were in place. Since Vermont classifies large hydro as renewable, Vermont electricity supply is slightly more than 50% renewable. This includes the power from Hydro Quebec. 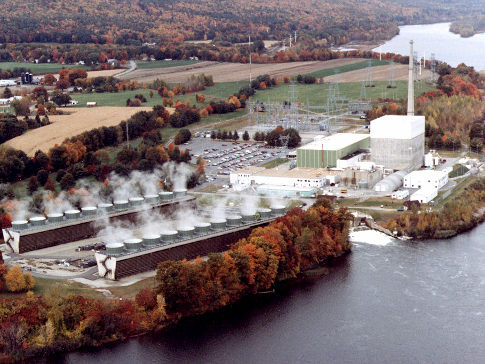 Green Mountain Power bought approximately 0.3 million MWh from a combination of Millstone and NextEra (Seabrook) nuclear plants . These purchases were separate from GMP's purchases of "system power" from the grid, which also included these plants. This VTEP report is well worth studying! For example, I note that if you add the nuclear plant purchases to the new "system power" purchases, you get 1.3 million MWh. Vermont used to purchase approximately 2.0 million MWh from Vermont Yankee. 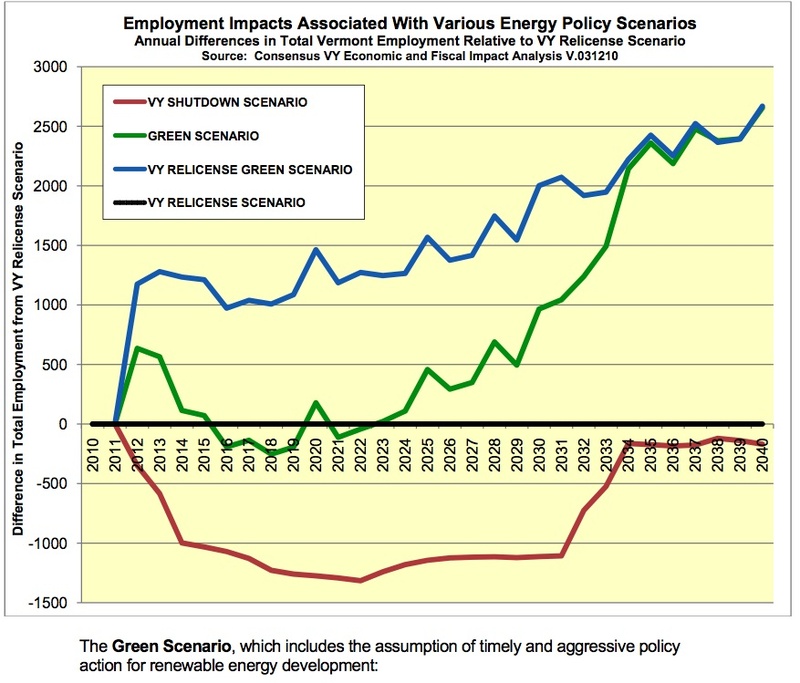 I urge you to read the report and draw your own conclusions about renewables, Vermont Yankee, and the new expanded role of "system power" in Vermont. 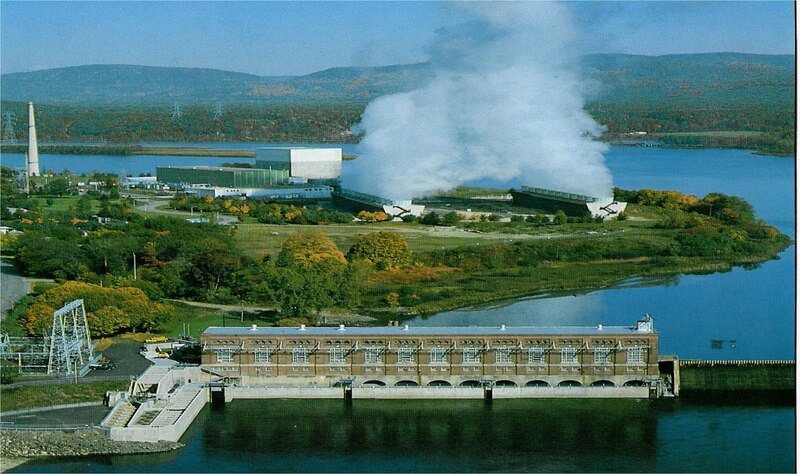 In April of 2012, Entergy wrote down the value of the Vermont Yankee power plant from $517 million to $162 million. 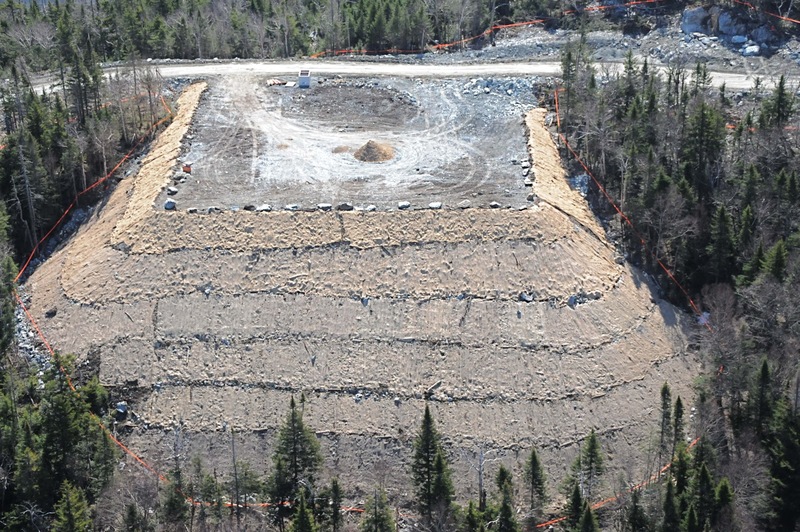 Andrew Stein's article at Vermont Digger provides a summary of events and speculation, and many useful links: Entergy document cites drastic fall in value of Vermont Yankee nuclear power plant, raising questions about its viability. The Stein article is well-written and well-referenced, but I found aspects of it confusing. I decided to put together my own timeline and some comments. 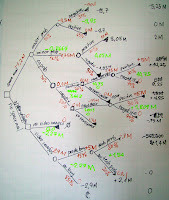 April 2012: Entergy writes down plant value. Entergy announced a "write-down" of the value of the Vermont Yankee plant in an earnings call on April 26. 2012. For some reason, this was not widely reported. I have files of "important articles" and I can't find an article about this one. I didn't blog about it--I wonder if I noticed it. However, the Entergy announcement was picked up by some of the business news services. Here's Yahoo Finance, April 26, 2012 Entergy swings to loss on write-down, warm winter. 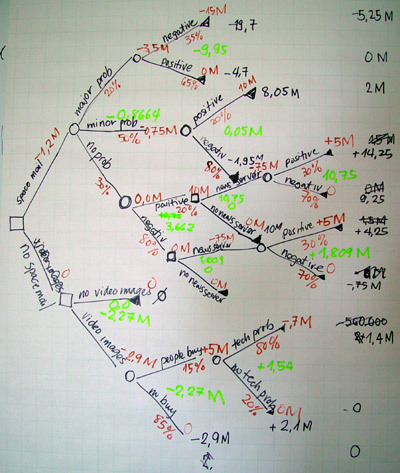 Personal Comment: When I worked for a major software company at one point, I came in to work one morning and discovered that our earnings call the day before had shown a loss of (I think) $200 million dollars on revenues of (?) $100 million for the quarter. I was terrified. Did I still have a job? Were we on the brink of folding? Massive lay-offs ahead? The old-timers reassured me that if the company had a moderately bad quarter, it would take every write-off it could take, that same quarter, and things would look terrible. But they weren't terrible. They weren't good, but the company was just setting up so that nothing would get in the way of the next quarter, which would look like a spectacular rebound. If you note, in the Entergy call above, they were showing less earnings because of a warm winter. Here's an article today by an analyst at Seeking Alpha, Natural Gas Prices Bode Well for 2 U.S. Producer Chesapeake Energy. Here's a brief quote: From the April 20, 2012 natural gas price nadir of $1.90/Mcf, natural gas prices have risen to $3.96/Mcf today March 25, 2013. That's more than double. In other words, if you had an asset that whose value depends partially on natural gas prices, since April 2012 was the low point for natural gas prices, it was a great time to take a write-down. By the way, I am NOT an investment advisor of any kind. I know some things about energy, but only a little about corporate decision making such as write-downs. Personal Comment: In looking through the rest of this report, I cannot see any reason to believe that the nuclear plants were operating at a loss in 2012, though they certainly were not making big a profit as they made in 2011 (or that they will make with rising gas prices in 2013). Entergy's forward-looking guidance for the nuclear plants is on page 28 and looks profitable, to me at least. However, I am not a financial analyst, and I welcome reader input on this issue. Once again, there is a well-referenced article by Andrew Stein at Vermont Digger on the UBS Analyst report, which includes a link to the report itself. Page 4 includes a chart showing the nuclear fleet as contributing to Earnings Per Share (EPS) for the next five years. It also refers (same page) to the "recent rally" in natural gas prices, but seems to think that ISO-NE and FERC will alleviate "the perceived supply constraint." Personal Comment: This UBS report does not mention the asset write-down of VY. It also seems to claim that the rise in natural gas prices are a glitch, easily remedied by ISO-NE action. In my opinion, it is not easy to get a pipeline built in the Northeast. I think the analyst doesn't live around here! I expect natural gas prices to rise overall, and especially here. Supporting this, I recommend the Seeking Alpha analysis linked above. I also recommend Vermont Electric Cooperative CEO's Hallquist's guest post on my blog about natural gas, wind and the grid. I recommend Matt Wald of the New York Times article about gas prices: In New England, A Natural Gas Trap. I am not a financial analyst, but even to me, this UBS analysis seems very incomplete. The overall rise of natural gas prices is not just a "perceived supply constraint." Note: Yes, I know am not up to March 2013 yet in this analysis. But this post is long enough. I will do another one soon--January to March. Postscript: I have a post up today at ANS Nuclear Cafe about Framing the Discourse. It describes nuclear opponents "framing" and word-choice, and calls for short frames written by nuclear advocates. I will write a post about this on my own blog in a few days, but right now, I hope people will submit a lively comment stream of frames at the ANS blog. Stop by the ANS Nuclear Cafe post and add your two cents (actually, add your five words). Senate Bill 30 would mandate heightened environmental oversight for wind energy projects. It would require such projects to undergo Act 250 permitting: Act 250 is Vermont's tough land-use law that was put into effect in the 70s, when it looked as if Vermont would turn into one vast ski resort. 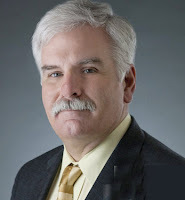 In the post Comments or Threats: Wind in Vermont, I described how a wind developer (Jeff Wolfe of Gro-Solar) wrote an open letter to John Campbell, President Pro Tem of the Vermont Senate. Wolfe said that: if you support this bill, not only does that support end, but I will help recruit and support opposition to you in the next election, and will put my money where my mouth is. Wolfe also said that Campbell was falling for (the) lies, deceits, fake science and name-calling of the Koch brothers. The political analyst at the Valley News, John Gregg, interviewed Campbell after he received this letter. As Gregg wrote: Campbell... said Wolfe “has publicly threatened me and tried to intimidate me to vote one way, and I think it would send a bad message” were he to change his vote. The first paragraph includes: Jeff Wolfe delivered an unmistakable message to state Sen. John Campbell of Hartford that the game being played is hardball — or maybe moneyball. Later in the editorial: Indeed we haven’t seen yet a convincing case that large-scale wind energy can play a significant role in reducing carbon emissions in Vermont, which would be the only rational basis for sacrificing a landscape that plays such an important role in the state’s economy and self-identity. The Ethan Allen Institute (sponsor of the Energy Education Project that I direct) is a free-market think tank, and no fan of the strict Act 250 reviews. They wrote: Green thuggery/ hypocrisy rears its head. In this editorial, the Ethan Allen Institute suggests that Vermont amend Act 250 to exempt ANY endeavor in any field in which Vermont would, in fact, like to see more jobs. They also wonder what would happen if an ordinary large company (as opposed to green-renewable company) threatened a House or Senate leader over a piece of legislation? As noted above, Campbell thought it would send a bad message if he changed his vote after this letter. In a recent article by Andrew Stein at Vermont Digger, Campbell went further. Campbell delays S.30 vote until Tuesday, citing Wolfe's threat, desire for full Senate vote. Campbell told VTDigger that because of Wolfe’s comments he feels “it’s imperative” that he votes on the bill. This week, Campbell is presiding over the the Senate for Lt. Gov. Phil Scott who is away, which means Campbell can’t vote on the bill unless there is a tie. Campbell is delaying the vote on this bill until he can actually vote on it. 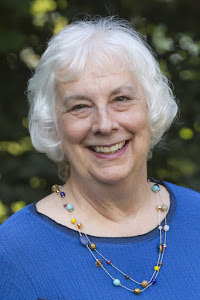 Monday Morning Update: I want to share today's op-ed by Annette Smith, a Vermonter who has been campaigning against Big Wind for many years. The title says it all: Respecting our Communities and Environment. She also has some interesting comments on what is likely to happen in the Vermont House (all the action now is in the Vermont Senate). In the past two days, letters on both sides of this issue were referenced in the Valley News, my local paper. The contrast in tone between the two letters is astonishing. Read for yourself. If industrial-scale wind (and solar) are indeed beneficial to the environment and communities, locally as well as globally, then its marketers have nothing to fear from a more democratic and environmentally rigorous permitting process. If they do indeed have reason to fear, that’s precisely why we need to say yes to S.30. In contrast, Jeff Wolfe wrote a recent letter against SB30. John Campbell is Vermont Senator from my town of Hartford. He is a moderate Democrat, and President Pro Tempore of the Senate. He has announced that he will vote for SB 30. Jeff Wolfe, president of Gro-Solar from White River Junction (also in my town of Hartford), wrote a letter to Senator Campbell, and he posted it on Vermont Digger. I was astonished to hear that you personally support S.30....This anti renewable energy effort is well documented as being funded by the Koch brothers and their allies. I’m truly surprised and stunned that you are falling for their lies, deceit, fake science, and name-calling. As the ‘leader’ of the Vermont Senate, I expect more from you. John, I’ve supported you for a lot of races. But if you support this bill, not only does that support end, but I will help recruit and support opposition to you in the next election, and will put my money where my mouth is. John Gregg, political analyst in the Valley News reported Campbell's reaction to Wolfe's letter. Gregg's column is Tower Power. Campbell... said Wolfe “has publicly threatened me and tried to intimidate me to vote one way, and I think it would send a bad message” were he to change his vote. Which letter makes a reasoned argument? Which letter uses personal attacks ("Koch brothers") and future threats ("I will help recruit and support opposition to you..")? Which letter-writer holds the moral high ground? Which letter-writer thinks he holds the moral high ground? Who gets to decide Vermont land-use? Steve Wright of Craftsbury is a former state fish and wildlife commissioner .... said he's incredulous that mainstream environmental groups...do not want to see the landmark land use law extended to energy projects. 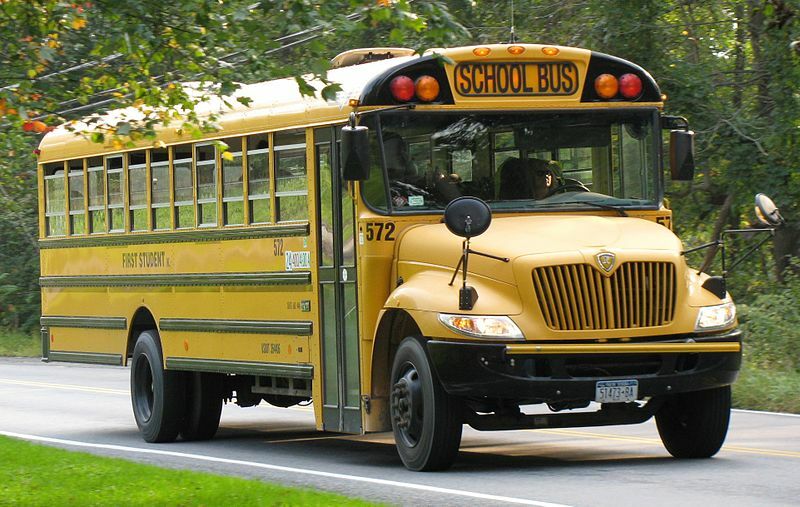 "When the environmental community in Vermont won't support a bill that has as its core a more effective use of Act 250, that's a problem," Wright said. Meanwhile, some groups, such as VPIRG, are doing a full court press against the legislation. There's a film and gathering at the State House tomorrow. Due to my former position on the Hartford (town) Energy Commission, I have already received several emails with links, urging me to email my senator in opposition to this bill. According to the anti-Senate-Bill-30 campaign, environmental groups oppose the bill as written because it overreaches and targets clean energy and not dirty energy projects. Act 250 is a land use act that was passed in the early 70s. When the interstate highways made Vermont more accessible to tourists, there was a gold rush to develop ski resorts and so forth. Our mountains would have been completely chopped up by competing tourist businesses, and not all of the businesses would have been viable. Act 250's requirements for careful environmental review preserved our beautiful mountains. Some would say its requirements are draconian, not merely careful. However, these requirements have been in effect for about forty years, and they seem to be working to protect our ridges. They protect the ridges from everything...except wind developments. 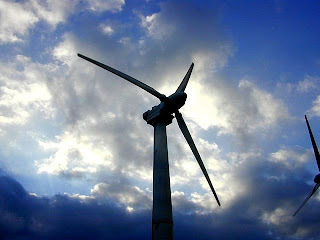 Some "clean energy projects," such as wind turbines, have been given an exemption from Act 250. They don't have to satisfy an Act 250 review. Among other things, this exemption takes land use powers from the local towns and given it to state siting commissions. This sort of transfer of power from the towns to the state is unpopular with almost everyone in Vermont, which is why Senate Bill 30 has bi-partisan support. The bill gives land-use decisions back to the towns. At one point in the past, however, Governor Shumlin stated that he wanted Act 250 review of an energy project. 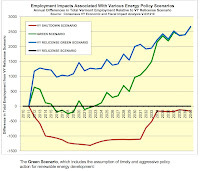 In December 2010, I attended a conference on energy conservation and renewable energy. Governor-elect Shumlin spoke at the conference. At that time, he was asked about a biomass plant that was proposed for southern Vermont. Shumlin was basically against it. He said biomass is the "least attractive" renewable technology, and that he hoped the biomass plants underwent Act 250 review. 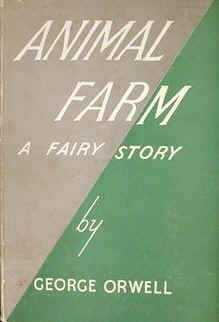 And so we end with Animal Farm in which "All animals are equal, but some animals are more equal than others." In Vermont, Act 250 review of energy projects is important, except in the case where the energy projects are more-equal than other energy projects. In other words, except in the case where the administration supports the energy projects, and doesn't want anything standing in their way. One of the old-line intervenors, New England Coalition against Nuclear Pollution, took this as an opportunity to intervene, and was granted intervenor's status. Bang-Jensen noted that the PSB hasn't even concluded whether it "can or should" grant a CPG for the diesel generator "on any schedule." The diesel generator application is being processed on the assumption that it will not become effective unless the extended operation CPG is approved, he wrote. And so, in Vermont, with the help of intervenors, a simple request for safety equipment becomes a complex issue. Podcast: Rod Adams has been hosting Atomic Show podcasts for years. More than seven years, as a matter of fact, and this week he hosted a spectacular podcast, Atomic Show #200, with atomic communicators and experts on three continents (Australia, Europe and North America). Congratulations to Rod for his unceasing and effective efforts in favor of nuclear energy. Enjoy the podcast! The ILEAD study group Engineering Adventures with Nevil Shute finished on Monday February 4, with the movie No Highway in the Sky. We had a lot of fun in that study group. I'm not just saying that because I led it. First, the group participants decided to hold a luncheon. We had a great time. Then some of the participants determined that The Class Shall Go On...well, not the class itself, but reading and discussing Nevil Shute's novels shall go on. If you live in the area, please come to our meeting. 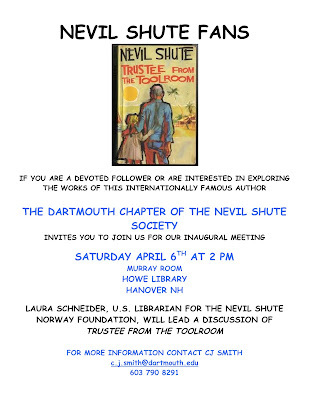 Also, Laura Schneider, the Nevil Shute Foundation U.S. Librarian, has copies of Trustee that she can loan to people. My advice, however, is to buy a copy of Trustee. You will want to re-read it. Over the years, I think I have read it three times. 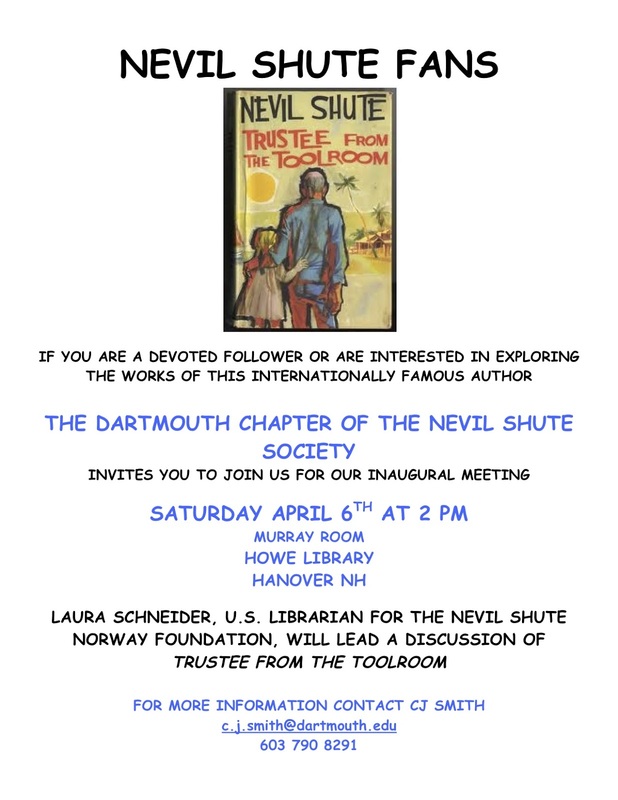 The future for the Nevil Shute group in this area includes the Dartmouth Chapter forming this spring, and Laura Schneider giving an ILEAD course about Shute in the fall. I am SO glad I decided to give this course. It has truly enriched my life. Too many people think of Shute as the author of On the Beach, which indeed, most of us have read...once. That book is not like No Highway or Trustee from the Toolroom or Slide Rule. On the Beach is an extraordinarily dark book (everybody dies) and not really about problem-solving. I don't know anybody who enjoys re-reading it. Most of the rest of Shute's books celebrate a modest person (engineer, model-maker, retiree) who steps up to a hard job and shows extraordinary courage. These heroes and heroines are not attacked by multi-national conspiracies or anything like that. They have problems to solve, and they must be both smart and brave to solve their problems. They are models for all of us. During WWII, Shute was in a group that developed weapons against submarines. After the war, the heroes and heroines in his books come from England, Australia, and yes... Germany. He was a man of great breadth of vision. Not a perfect man, but a wonderful author. I have more downloads from the Nevil Shute Course at my personal website now. If I have to recommend only one of the downloads, I guess I would recommend he comparison of the airship disaster with the Challenger disaster by Beall Fowler. Enjoy! I also enclose a film trailer for No Highway, just for fun. It's all...just for fun. And for inspiration. Whoops. Actually, I don't always handle it that well. As I proved by reading the first letter that appeared, about four days after my op-ed ran. "You can tell it’s an old photo because both banks of cooling towers are working. One has since collapsed (in 2007) due to lack of maintenance and has never been repaired." A cooling tower is repaired or not-repaired. It's not an ambiguous situation. Of course the cooling towers were repaired since 2007! I called the editor of the paper and asked him to run a correction. Before doing so, he wanted more than my word that the cooling towers had been repaired. He wanted the date when the cooling tower repair was completed. This date for the completion of the repairs wasn't mentioned in any article I could find, though I did find an article that implied that repairs were complete in spring 2008. I contacted the plant and obtained the repair-completion-date information that the editor needed. The plant sent me an email from one of the engineers, and they gave me permission to forward the email to the editor. That took care of the matter from my end. The Valley News editor, Martin Frank, wrote a correction. Here's the correction that now appears on the Valley News website at the end of the "Telling Picture of Vermont Yankee" letter. The cooling tower at the Vermont Yankee nuclear power plant that collapsed in 2007 was permanently repaired and back in service by May 2008. A letter published Feb. 14 incorrectly asserted that the structure had never been repaired. Whew! And a big thank you to editor Martin Frank for his professional handling of the situation. "The third letter claims tritium is dangerous. So is arsenic in our drinking water — or not, depending on the amount. Drinking water is needed for life, but can kill you — as was proven by the tragic case of the marathon runner who drank too much. (Meredith's) op-ed never said that tritium in any amount was not dangerous, just that the tritium-tainted water that leaked from Vermont Yankee was not. 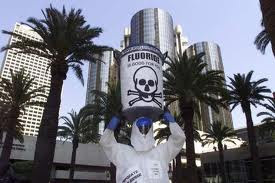 “The dose makes the poison” is true of radiation, too." All's well that ends well? Since Martin Frank wrote a correction and Howard Shaffer wrote a letter, is the problem solved? In other words, was it worth the time it took to get this correction made? Yet the only thing that we countered was that the cooling towers were actually repaired. Did that matter? I think it did. Most of the statements in the opponent letters are non-falsifiable. They are more matters of opinion or faith than of science. They provide nothing to test or to verify, though there may be something to argue about. However, when nuclear opponents begin using incorrect facts, something has to be done about it. You have to get a correction in print. You really have to do so if you possibly can. At least, that's how I feel about it. One letter was the usual thing: Safety and economics are linked. It included the odd statement that: "Is it possible that the law regarding regulation of nuclear power was designed to present the illusion of their (safety and economic) separability in an attempt to eliminate the possibility of legal challenge by states and local communities?" Well, that's one way of looking at federal-level safety regulations, I guess. My main response to this letter was "ho-hum, same-old." Another letter was somewhat more annoying. Titled Misinformation on Vermont Yankee, it starts with "Defenders of Entergy’s attempts to continue operation of the controversial Vermont Yankee nuclear power plant in Vernon are waging a strategic war of misinformation..."It goes on to talk about the dangers of tritium. The letter finished by explaining that the letter-writer had read the "small print" at the end of the op-ed. He discovered that: I worked for the nuclear industry in the past, I blog as "yes vermont yankee," and I am associated with the Ethan Allen Institute. Gosh, I didn't think the type at the end of the op-ed was that small! Should I ask the editor to put that information in a bigger font next time? Basically, once again, however, my response was "ho--hum." Though I admit I don't like to be accused of "waging a strategic war of misinformation." At any rate, the accusation that I am waging a "strategic war of misinformation" is sort of....non-falsifiable. In the past two days, Howard Shaffer and Bob Hargraves have written powerful blog posts about fear of radiation. Also, we have a new host for the Nuclear Blog Carnival. Not in Vermont. We don't have palm trees. At ANS Nuclear Cafe, Shaffer posted Understanding the anti-nuclear movement: Pieces of the Puzzle. Vermont has a highly visible anti-nuclear movement, a low rate of child vaccinations, and recent debates about water fluoridation (I kid you not). Facts don't matter very much in this context. Visit the anti-nuclear world-view with Shaffer. It has some virtues (I don't let anyone push me around! ), but is mostly a huge drawback for society as a whole. 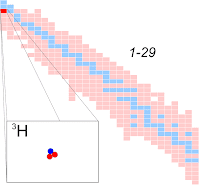 At Atomic Insights, Rod Adams hosts an op-ed by Robert Hargraves: Radiation Superstition. 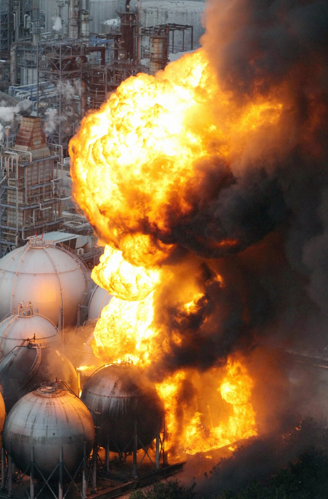 The Chiba Refinery burned for ten days after the Japanese earthquake---ignored by the media. Dose-response curves---ignored by the media. LNG dangers---ignored by the media. The superstition about harm from small amounts of radiation--constantly trumpeted by the media. 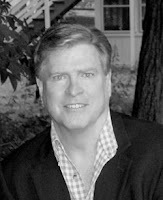 Hargraves has a Ph.D. in Physics and was vice president of Boston Scientific. He recently spoke to the ChineseAcademy of Sciences about thorium reactors. In the run-up to March 11, Hargraves sent this op-ed to many prestigious journals, and was rejected by all of them. See the list at the end of the article. We pro-nuclear people don't try to speak only to an echo chamber of other pro-nuclear people. That's just what happens after the main stream press rejects us. 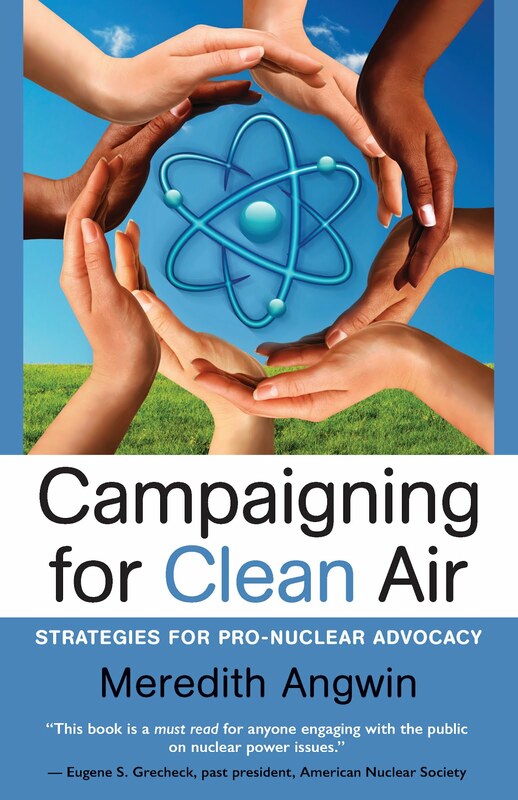 Many reporters would rather quote an anti-nuclear activist than a pro-nuclear scientist. I guess they are more likely to get a an attention-grabbing quote from an activist. For each subject, I will share the facts as I know them, and also give a personal comment. March 11 is the second anniversary of the great Tohukou earthquake and tsunami. This earthquake was one of the strongest ever known. It shifted the earth on its axis by at least 4 inches. The toll in Japan was huge, with over 18,000 people killed or missing, and hundreds of thousands of buildings collapsed and partially collapsed. Under these almost unbelievable circumstances, the nuclear power plants at Fukushima were also affected, but succeeded in their design requirement to prevent loss of human life. No person was killed or badly injured by direct radiation, even after three full-sized plants melted down. There are many tragic aspects to the Fukushima story, but people did not die of radiation illness (as happened at Chernobyl). 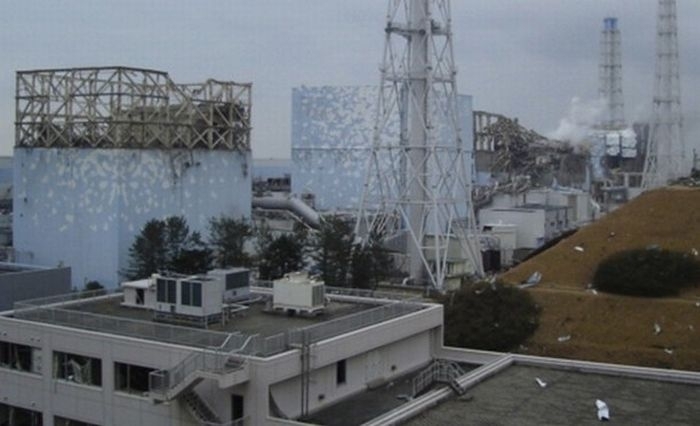 Deaths from radiation did not occur at Fukushima, even with the complete meltdown of three plants. This is relevant to the next topic about the evacuations. Nobody was killed by direct radiation from the melt-down, but people were killed by the evacuation that was the response to the meltdown. Obviously, if there hadn't been a meltdown, there would not have had to be an evacuation. However, it is not appropriate to lay all the blame for the evacuation deaths on the plants. The evacuation was a badly-planned mess. The New York Times describes the evacuation as "chaos". Local governments have certified over 600 deaths as "disaster-related"--that is, caused by fatigue or medical conditions made worse by evacuation. The dawn of March 14 therefore saw the beginning of a hurried transportation of these patients to a screening site in Minamisoma city, 26 km northwest of the plant. Medical personnel did not accompany the patients during transportation. Bed-ridden patients were laid down on the seats, wrapped in protective gowns. During transportation, some patients suffered trauma by falling from the seats of the vehicles. .... The vehicles were packed full, not only with patients but also with residents who had missed the chance to evacuate on their own.....Eventually, the patients were temporarily housed at a meeting room of the Soso Health Care office in Minamisoma city, with no heaters or medical supplies. Many had to wait for more than 24 h before reaching admitting facilities. In other words, the evacuation killed people because the evacuation was a mess. Yes, I am Monday-morning quarterbacking. But I need to say it anyway. The amount of radiation that the people would have received, if they sheltered in place, was not enough to give anyone radiation sickness. Longer-term effects of that radiation were possible. In these circumstance, however, bundling old and sick people onto buses to go to uncertain destinations, without their medicine or without even water...this was completely unnecessary. Killing people now to prevent them from dying later? 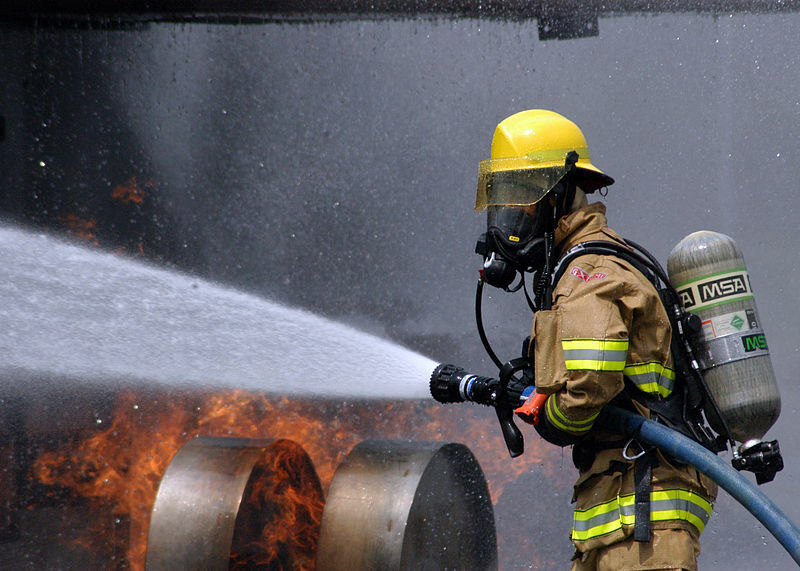 Personal Note: I recently wrote an article about Vermont volunteer fire-fighters. We are rural up here, and we are very organized. The fire chiefs keep lists of people in their jurisdiction who need electricity for life support, are in hospice care at home, or are disabled. They keep the lists; they also keep keys from civic-minded people who are willing to lend their diesel generators to those who need them. The chiefs know exactly what to do. Yes, we never encountered anything as bad as a tsunami in Vermont, but the evacuations in Fukushima was not to prevent people from drowning in a tsunami. (And by the way, the fire-fighters did a great job during Hurricane Irene: everyone acknowledges their contribution.) The Fukushima evacuation was caused by fear of exposure to radiation, without any reason to believe that such exposure would cause sickness or death in the near future. 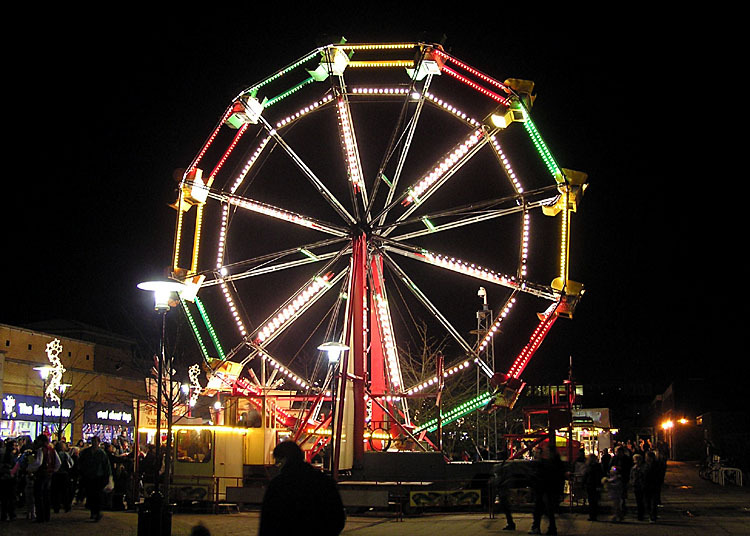 I can't imagine the local fire chiefs bundling people onto buses and letting them fall off the seats during the ride! My article on volunteer fire-fighters appeared in the winter edition of Here In Hanover Magazine: "Who You Gonna Call? Volunteer Fire Departments of the Upper Valley." Evacuating these elderly people from Fukushima was a very bad idea. They could have sheltered in place. They could have been supported in place. They could have lived. That is my opinion. I hate to be critical of people that were trying to do their best, but really? What kind of cloud of radiation did they think they were getting? Even at Chernobyl, nobody except workers on-site died immediately from radiation poisoning. Even at Chernobyl, twenty miles away, immediate death was not an issue. They had time to do it better in Japan. They really did. 3) There will be few (or zero) deaths due to radiation in the future. Well, nobody died of radiation YET, the nuclear opponents say, but in the future, there will be millions of horrible deaths from cancer. There may be some, or there may be zero. There were two recent reports on this. One by the UN committee on radiation, which predicted zero deaths, and one by the World Health Organization, which predicted some premature deaths, perhaps as many as predicted in a recent Stanford University study: 1300 premature deaths, an 0.02% increase. I recommend the Bryan Walsh article in Time magazine for a clear explanation of the WHO study. Meanwhile, James Conca at Forbes reviews a UN committee report that predicted there will be no increase in cancers in the population of Japan due to Fukushima. Personal note: I am not going to try to distinguish between a report claiming a 0.02% increase and a report claiming no increase. From a practical sense, they are the same conclusion. No megadeaths resulted from this accident, and none will result. The opponents will say that the UN and WHO studies show that these international organizations are in the pay of the nuclear industry. Fine. The anti-nuclear activists around here already carry signs about "state's rights." I look forward to them adding "U. S. OUT of the U. N!" signs to their demonstrations. The Fukushima Daiichi meltdown caused suffering and it caused death. There were no immediate deaths, and few (or no) cancers can be expected among civilians. The main cause of the suffering and the deaths was the badly-handled evacuation. This was not a doomsday event. It was a truly terrible event. But it was not the doomsday event nuclear opponents were expecting, or perhaps hoping for. David Hallquist is the Chief Executive Officer of the Vermont Electric Cooperative (VEC). Like most co-operatives, VEC is owned by its rate-payers. Once upon a time, VEC was the third-largest utility in Vermont. But then the two largest utilities, Green Mountain Power and Central Vermont Public Service, merged. The new utility (Green Mountain Power) is a wholly-owned subsidiary of Gaz Metro of Quebec. 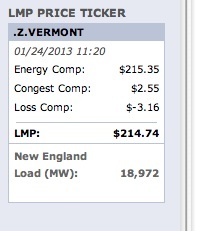 So now VEC is the second-largest utility in Vermont. This afternoon, David Hallquist sent me an email including some VEC talking points. 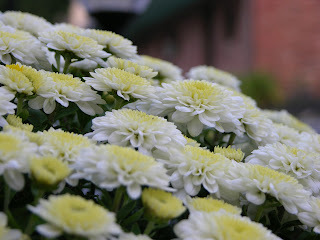 I asked if I could use them as a guest post on my blog. He graciously agreed. The requirement to provide reliable, reasonably-priced power to its owner/ratepayers. A recent VEC blog post Adoption of Renewable Energy Requires Realistic Timeline, shows the utility's thoughtful approach. Late last year, the VEC Board of Directors asked the legislature to put a hold on requiring new renewable mandates in the state. This afternoon, Hallquist sent me two documents that were very interesting. 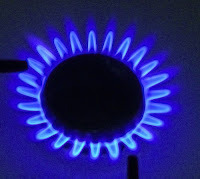 One I already had: Matt Wald of the New York Times on the soaring prices of natural gas In New England: A Natural Gas Trap. Hallquist also sent me the talking points below, which expand on the Wald article and look further toward the future. These talking points are the way VEC sees the grid situation, right now. Vermont Electric Cooperative’s power supply portfolio is designed to provide stability and predictability of short and long-term power supply costs. VEC keeps a small portion of the portfolio open so that some power can be purchased on the open market. Recent unexpected and prolonged high price levels in the wholesale energy markets has caused concern that underlying issues may cause future market volatility that could ultimately have a negative impact on consumer electric rates. Prices hovered much of the time around $200/megawatt-hour. This made sense in late-January as the Northeast was experiencing its worst cold snap since 2009. What did not make sense is that the prices did not come back down when the weather moderated. The prices finally came back down on February 24. Natural gas prices in New England in mid-February were five times the prices in early January. New England has become more dependent on natural gas for its energy supply in the transportation, heating and electricity generation sectors. Winter Storm Nemo caused a key nuclear generator, along with other smaller electricity generators, to go off- line, causing an even greater demand for natural gas. Transmission infrastructure to New England spans a very long supply line starting in the Gulf of Mexico and is not adequate for current regional demand. By contrast, in neighboring New York where transmission is less constrained, natural gas prices remained low in early 2013. While the problem has gone away for the short term, this issue needs to be addressed as we continue to move to more and more natural gas as an energy source. New England has traditionally seen some volatile price spikes, but this last event shows we are in a critical situation. 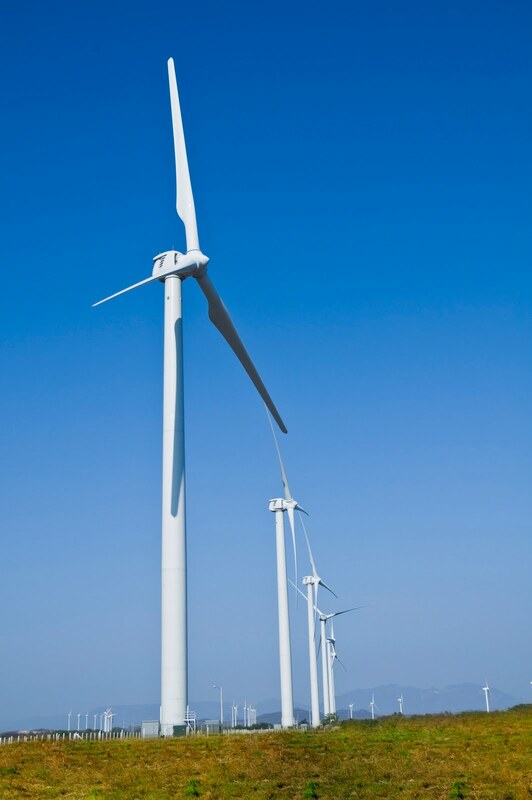 Several times during these past few weeks, the Kingdom Community Wind project was capable of full production, yet the ISO-NE was only allowing 1/6 of the output. At one point, ISO-NE shut down Kingdom Community Wind to allow the oil peaking unit in Swanton to be run. Wind curtailment is an issue across the country, and needs a national focus on ISO rules about how intermittent resources (wind and solar) are handled. The state of Vermont was back in federal court in January, again claiming that the Senate vote of 2010 was a legally valid reason for the state to close Vermont Yankee. This was the second attempt by the state to make that case. A year ago, U.S. District Court Judge J. Garvan Murtha ruled for Entergy, Yankee’s owner. For the federal appeals court hearing in January, Vermont Attorney General William Sorrell switched gears a bit: He hired high-priced legal help — Washington, D.C., litigator David Frederick. After the Murtha ruling, some plant opponents claimed that the state had simply been “outlawyered” by Entergy. Sorrell took the reasonable next step of getting a more high-powered attorney for the appeal. However, a good lawyer can get you only so far if the facts aren’t on your side. The state’s real problem is that it has a weak case. Like airplane safety, nuclear safety is regulated by the federal government, not the states. Regulating nuclear and airline safety is a federal mandate partially because of the complexity of the regulated activities and partially to prevent wide variations in the degree of regulation among states. The Vermont Yankee case hinges on a state Senate vote that denied Vermont Yankee the state-required certificate of public good. Murtha ruled that the Legislature had encroached on the federal mandate to regulate nuclear safety. Murtha based much of his ruling on quotes that referred to plant safety. In Murtha’s view, these quotes from the legislative debate revealed the motive for the senators’ votes. To prevail in its appeal at the 2nd Circuit Court of Appeals, the state had to address this question: If safety concerns didn’t drive the Senate vote to reject Vermont Yankee’s application for a certificate of public good, what did? Citing a 1983 Supreme Court ruling that recognized the state of California’s right to regulate the economic aspects of a nuclear power plant, Vermont’s lawyer tried to make the case that his client had economic reasons to close the plant. It’s a tough case to make. For starters, the timing of the Senate vote three years ago provides strong evidence that economics was hardly an overriding concern. The Legislature had commissioned a report on the economic impact of Vermont Yankee and of aggressive development of renewable energy sources. This report was to be jointly prepared by two separate economic firms and called the “consensus report.” The study was due to be completed in March 2010. Yet the Senate cast its vote on Vermont Yankee in February. It is also worth noting that the February vote came shortly after a tritium leak was discovered at the plant. Although the tritium posed no threat to public health, it did generate a huge outcry about the safety of plant operations. It seems clear that the Senate didn’t wait a few weeks for the economic consensus report because their vote wasn’t about economics. During his arguments before the three-judge panel, Frederick was forced to resort to a fair amount of speculation to make an “economics” case. He claimed that if Entergy were to go bankrupt and if the Nuclear Regulatory Commission didn’t do an adequate job of supervising the decommissioning fund, then the state might face financial liabilities in the future. This degree of hypothesizing about events that “could” happen is unlikely to prove convincing. In terms of present-day economics, Frederick was on even weaker ground. He said that the paid-off nuclear plant makes it hard for newer plants to be built. That statement implies Vermont has an economic incentive to shut down cost-effective power plants. Entergy’s attorney, Kathleen Sullivan, argued that no Vermont utility is under any obligation to buy Vermont Yankee’s power, whether it is expensive or cheap. She pointed out that different circumstances prevailed in California in 1983 when the Supreme Court allowed a state to regulate the economic aspects of nuclear power. The California plant sold power directly to customers at regulated rates. Vermont Yankee, however, sells its power to the grid. 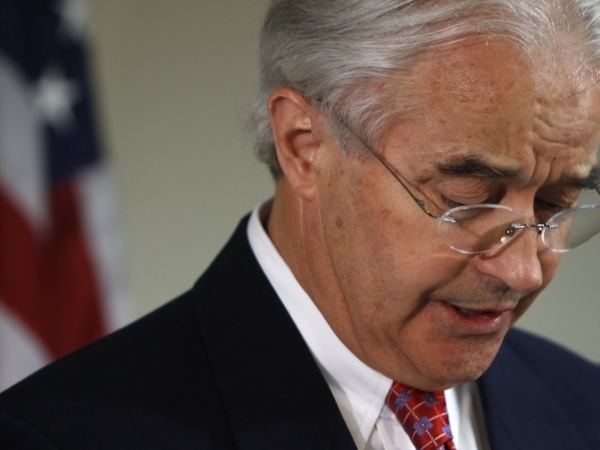 Frederick countered her by saying the utilities still have a “relationship” with Vermont Yankee — one worth $587 million. Frederick was referring to a revenue-sharing arrangement that was part of the original sales agreement with Entergy. The provision, which kicked in last year, says that if Vermont Yankee sells power for more than 6.1 cents per kilowatt hour, it has to split the revenue above 6.1 cents with Vermont utilities. That agreement is worth potentially hundreds of millions to the utilities and ratepayers of Vermont. Its value depends on the price at which Vermont Yankee sells its power. I don’t know where Frederick derived such a precise number ($587 million) for the revenue share. However, a half-billion dollar financial relationship will be very helpful for the utilities (and therefore the ratepayers) of Vermont. 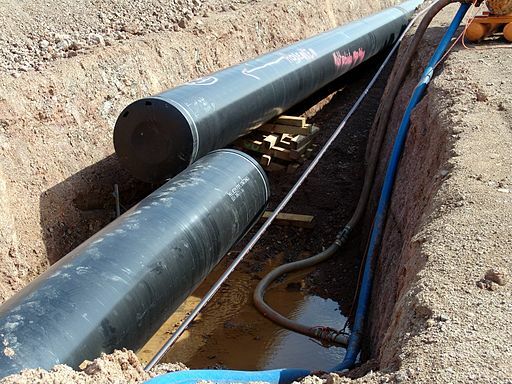 Utilities could use the money to improve infrastructure or avoid raising rates. Hundreds of millions of dollars in potential revenue sharing is not a reason to shut the plant down. What, exactly, is the logic here: Shut it down before it shares money with us? Frederick’s statements on revenue sharing went by in a flash, near the end of the hearing. The appeals hearing in New York City was very brief. The court had scheduled 15 minutes for arguments from each side. From opening gavel to “thank you” from the judges, it lasted 37 minutes, moving much like a rapid-fire tennis match. The good news is that it is possible to listen to an audio of the entire hearing in less time than it takes to eat a leisurely dinner. (The audio is available in my Jan. 15 blog post, at Yes Vermont Yankee.) The bad news is that statements that could easily have been refuted by the opposition lawyers or judges were not challenged. Despite the brevity of the hearing, the judges are expected to take weeks or months to rule on the appeal. No, it will be because the state can’t make a credible case that Vermont officials were thinking about economics when they voted to close the plant. This op-ed first appeared in the Valley News (my local paper) on February 10 and I put up a blog post with a link. It was also published at Vermont Digger. It may well appear in other places around the state (I sent to several more newspapers), but I thought is was time to put it on my own blog, too. Sometimes a girl (or a grandma) just wants to have fun. I love this video. It's a time-lapse of a big, successful construction project. TVA replaced four steam generators in just 83 days! Back-in-the-day when I was in the Steam Generator Project Office at EPRI, such a replacement project took about a year. These steam generators practically fly into place. Fun to watch. The top of the building being removed. The huge crane being built. The old steam generators: up and out. The new steam generators: up and in! Never a dull moment in this video. I also recommend the NuclearGrrl post about this video, TVA also posted some shorter videos, with more explanation of what is happening in each video.